This original mixed media piece is a combination of watercolor, pastel and pen and ink. 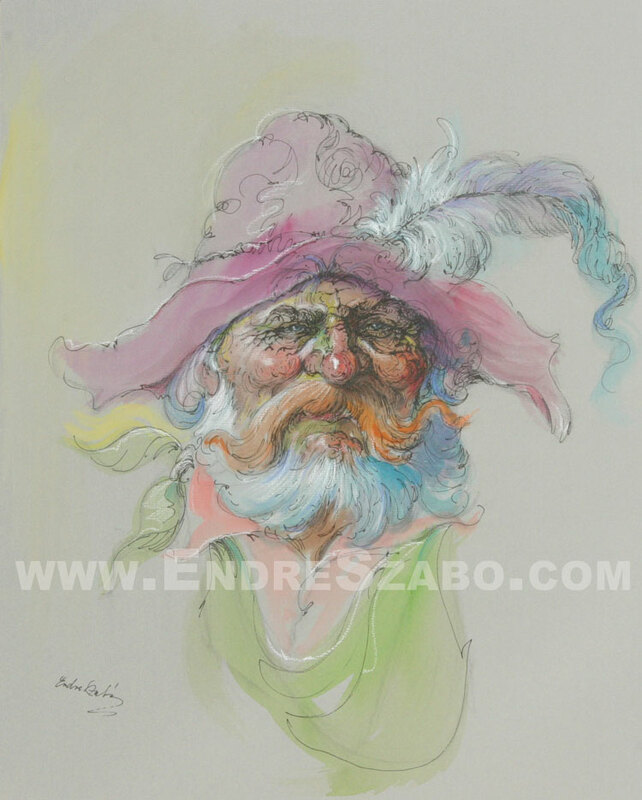 Endre's splashes of color tell the tale of each character. This Old West Trapper is one in a series of seven original pieces done in the same style.